Back in 2013 Merkle Group Inc. found out that 63% of CRM projects in large enterprises fail. 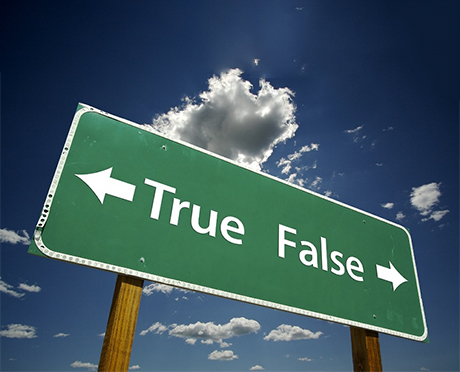 Meanwhile, Forrester Research reported that 49% of all CRM projects fail. And there are many reasons why. Still, in the majority of cases it all boils down to people rejecting CRM. But, why? Why do sales people hate CRM? So you love your spreadsheets, your pen and your notepad… You think it is easy to find your sales prospect’s name and telephone number, and even their e-mail in a printed out list. It’s just very simple, as you can tick off those you have called already, take notes, etc., etc. But, you can’t deny that the whole process simply takes too long, and there are too many things that you need to keep in your head. For example, you have to remember what you promised your customer to do, to send or to find out. You also need to remember when you agreed to follow up on things. Scribble all you like, but it won’t turn your memory into a high speed computer. I’ve overheard sales people say that CRM is just another tool for their managers to keep an eye on them. What about you? Do you feel tracked and even spied on, where a sales CRM tells the manager how many phone calls you made during the day, how many e-mails you wrote, sales opportunities you registered and whether or not you neglected anyone. And you know what? You might be surprised, but I have to agree with you – you have a point here! Even though a centralized database is a good thing by and large, but when it turns into policing every minute action the whole purpose simply gets lost. A good CRM should track only the necessary information. And in the end, what really matters is whether or not you’re reaching your targets, right? Call me materialistic, but my guess is that most sales people are motivated by commissions. Am I right? I know I would be motivated if I worked in sales! And at first glance, I can understand why you might think that entering data into a CRM system might not bring you closer to the big bucks. At least not obviously so. You simply don’t see any practical value behind it. Isn’t it ironic? 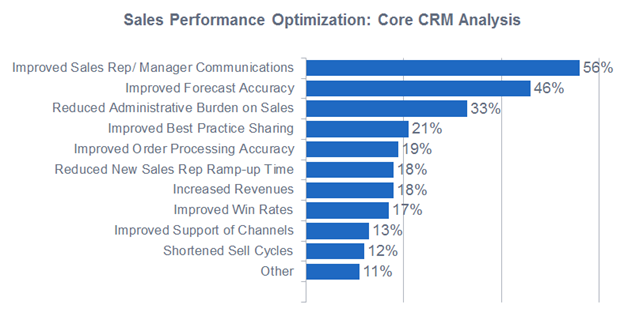 Sales people gain the most from implementing CRM software, and yet they are the first to shoot it down. I know we haven’t covered all of the reasons why sales people do not like CRM. What are some of the reasons you have had? Let us know below. P.S. If you’re struggling with getting everyone on board with CRM, then download our free CRM adoption guide here. 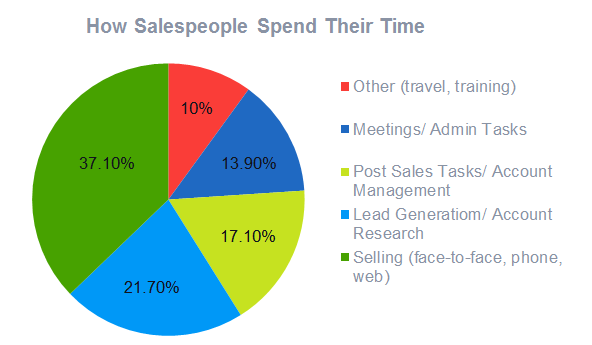 Salespeople generally target for sales. They are not more focused on entering customer information into a database as a part of the sales process. They apparently won't find value in this process if they cannot see the process moving them closer to a commission. They think that they are not paid for this. Only a proper training program will help salespeople see the value in adopting the system and this training can disclose that how beneficial CRM is to lead generation, nurturing, and sales. I agree with everything except "CRM is too complex.". For example, solutions like Salesforce and Microsoft Dynamics, while CRM at the core, try to do so much beyond basic CRM that they become next to unusable. Without drastically over-priced administrators for the systems or hiring outside consultants to manage them, they almost become not just cost prohibitive, but also a daily chore to manage and support. If you go with a simple CRM solution I would 100% agree with you. However, the solutions trying to be more than just that are out of hand. Salesforce and M$FT have never been known for even good UI and UX. That isn't going to change. And, many companies will continue to buy those, because no one ever gets fired for making the "safe" decision even when it is the wrong decision. CRM, as well as the newer marketing automation-sales platforms can be deep, with tons of functionality, as long as the UI is intuitive, the UX is delightful, and the on-boarding is on point. In fact, these organizational ecosystems actually enable alignment and transparency across marketing, sales, and lifetime customer engagement. Instead of multiple applications that have to be made to talk to each other, it's all already present. Saves time, money, and aggravation! That's a great point. Thanks for commenting, Lydia! This was a nice share. All of these listed reasons for why Salespeople don't want to use their CRM almost always roll up to one thing...there is no compelling "why". No one ever explained WHY we need the data, what we do with it, how it will HELP you sell better and how it helps the company on the whole. Without this why, Salespeople will make excuses. If the reasons are shared clearly, the rep needs to either get on board...or get out.